SO! We're back! A little sun burnt, pretty darn grubby and completely knackered but HEY! We had the most awesome time and that's what festivals are all about! This was my first experience of festivalling with kids and I can honestly say it was the best festival I've ever been to - the weekend has actually knocked Glastonbury 97 off the top spot as my favourite festival experience EVER which, after sixteen long years at no.1, seriously took some beating! The girls completely and utterly loved it, which is what made it for me... and what's not to love about four days and nights of MUSIC and DELICIOUS FOOD and BEER (er... for the parents) and FACEPAINTS and FANCY DRESS and FAIR GROUND RIDES and FAIRY LAND and DANCING and did I mention the FANCY DRESS!? Camping with the lovely Alice from An Essex Wife and her family. The Dingly Dell. We were gutted to only discover this secret corner of the site on Sunday afternoon! 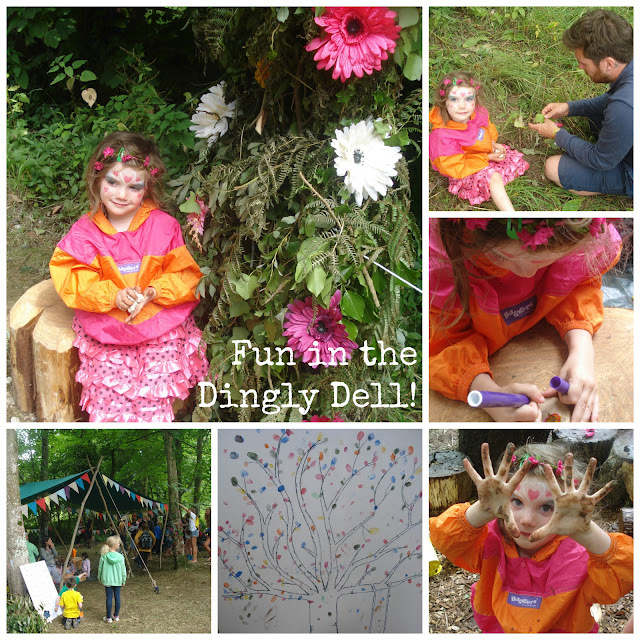 Glittery mud pies, fairy houses, painting and fairy tale telling made for a very happy Daisy! Bunting. THERE WAS BUNTING EVERYWHERE! Katy heaven. Seeing I Am Kloot. John Bramwell is officially my dream man. Sorry Simon. The food. I'm a total foodie and the variety and quality of the food available was immense. 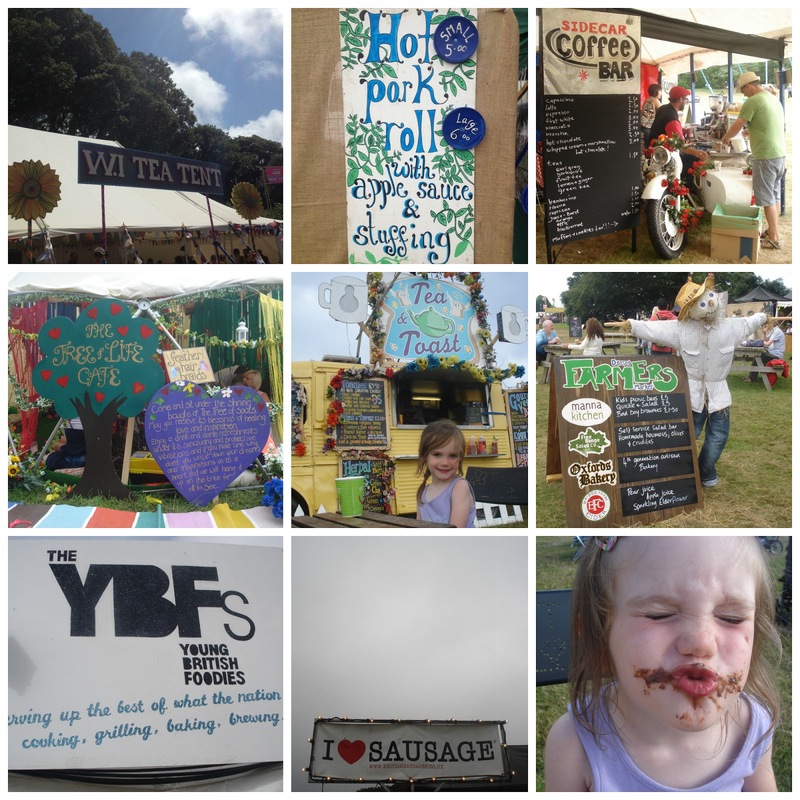 I LOVED the Young British Foodie, the Dorset WI and the Dorset Farmers Market tents plus there were some amazing little stalls dotted all over the place. I think I've come back a stone heavier. 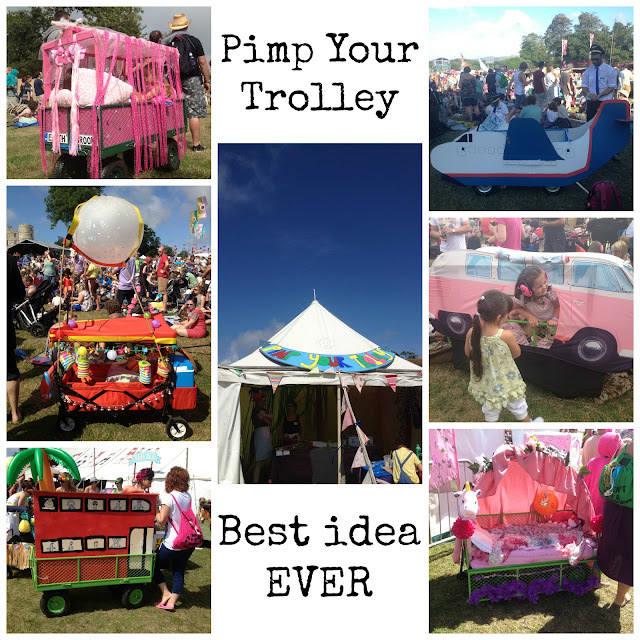 The pimped up kids trolleys. Oh my god, the competition was fierce! There were some totally ace (and hilarious!) ones out there. Check out the top right picture - one trolley was decorated as a plane with the Dad dressed up as a pilot and the Mum and siblings as cabin crew. I really hope they won the competition! 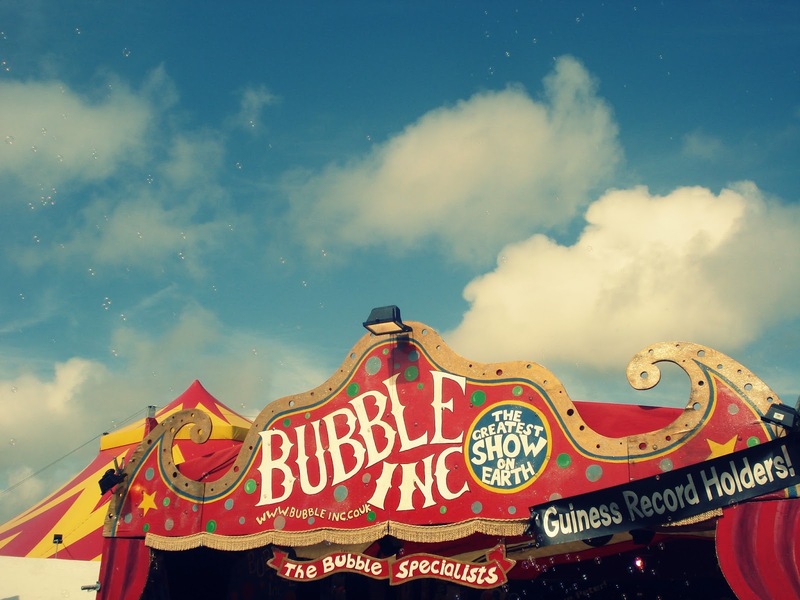 We have some seriously good ideas for next year now. The arts + crafts available for kids. They could literally try their hand at anything and were encouraged to be super creative which D just loved. My favourite was making our own flower crowns - there were hundreds of them for sale all over the place but nothing beats making your own! Camping! Proper, old school, roughing it camping. We contemplated both boutique camping and Tangerine Fields and although I know they'd have been lovely, pitching our own tent was one of the highlights of the weekend for Daisy! 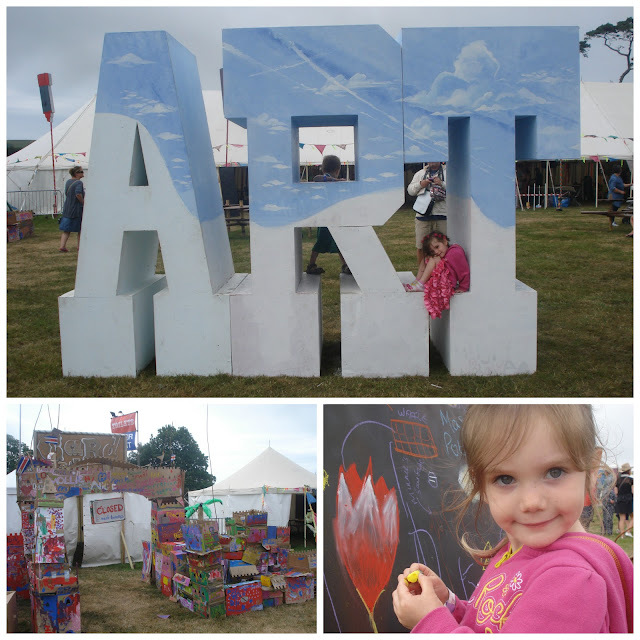 As if arriving at Camp Bestival wasn't enough, having to 'build' our own 'home' for the weekend was so exciting for her. The Maypole and Morris Dancing. Hurray for being English! Having the chance to meet up with lots of my favourite bloggers and share a few jugs of Pimms with them! I asked Daisy what her favourite things about the weekend were and she said 'the bubbles, being allowed to eat an ice cream every day, going on the Helter Skelter, seeing THE REAL Mr Tumble (it wasn't someone dressed up, you know!) 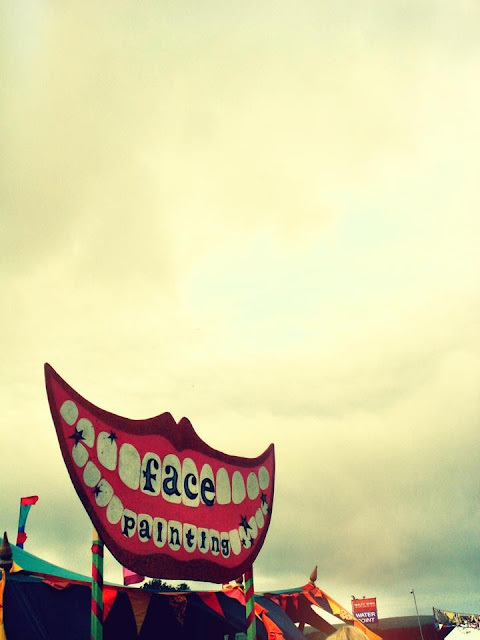 and getting my face painted.' So there you go. If you're artistic, take your own face paints. 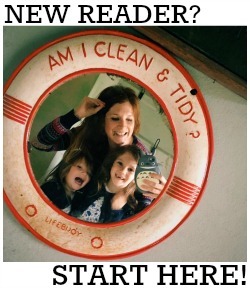 It will save you a fortune and you won't have to waste time queueing every day. I went unprepared and could only manage raver-esque neon face stripes.... madam wasn't impressed. Next year I'm going fully equipped. Brace yourself for chilly evenings. Yes. Even in the middle of a heatwave. Take blankets, thick socks, leggings and cardigans - if you layer up you can peel them off as it warms up! Get a radio flyer or off road buggy. Our Britax Bob Revolution SE was perfect, although next year we'll be taking a trolley so that both girls can sit/sleep in it. Ear defenders are essential - we took some for Evie but didn't think Daisy would want or need them. We were wrong - she had Evie's on a lot. They really helped at the end of each night when the girls were knackered and wanted to sleep but there was too much going on! Decorate EVERYTHING. Ah come on. It's for the kids! 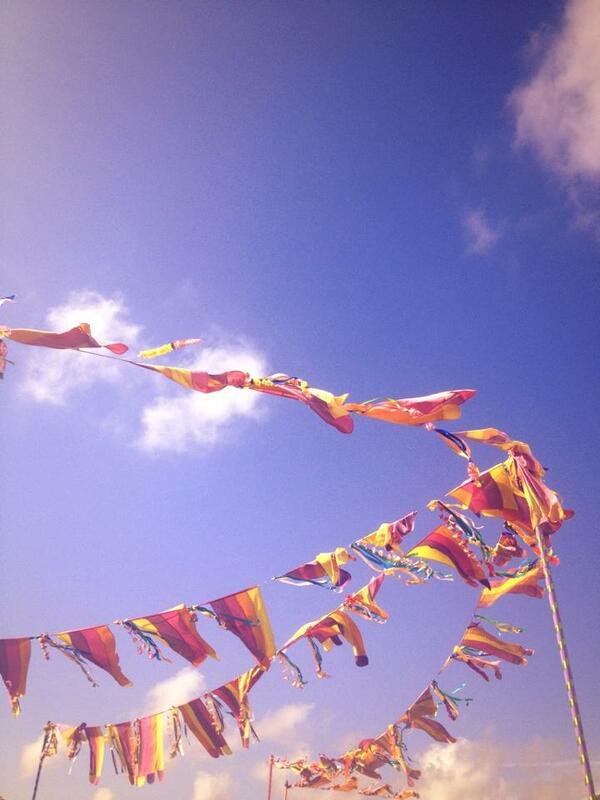 Decorate your camp with flags and bunting and twinkly lights, decorate your buggy, decorate yourselves! Bring glow sticks and DON'T FORGET THE FANCY DRESS. Hippy baby in her festival hoodie! Raving baby complete with glow in the dark dummy, boiler suit and glow stick! Rum + ginger at midday! Looks like you all had a ton of fun! I am scared of festival with children - I could only just about cope being 20ish myself at V96 in Chelmsford!! Thanks Daisy! I'm glad you enjoyed our bubbles!!! Love your pictures - they really captured the fun. Great to finally meet you, lovely photos. 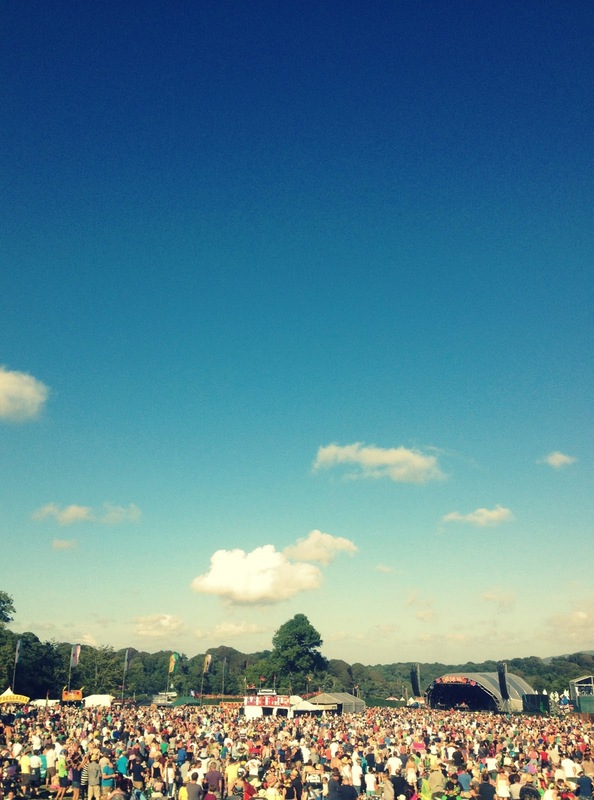 Festivals are the only way forward!